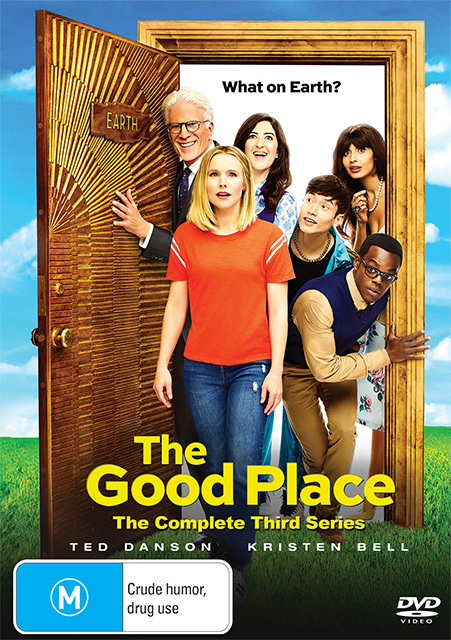 Thanks to Shock Entertainment here is your chance to Win one of 5 x The Good Place Season 3 DVDs. Get ready for more laughs and surprises in Season 3 of "The Good Place," the critically acclaimed comedy from creator Michael Schur (Brooklyn Nine-Nine). The series continues to follow Eleanor (Kristen Bell) as she navigates the afterlife, determined to earn a spot in the Good Place (even though she really belongs in the Bad Place). At the end of Season 2, Good Place Architect Michael (Ted Danson, in an Emmy® Award nominated performance) appeared in front of the Judge to argue that Eleanor and her friends deserve a second chance. Now, Eleanor, Chidi (William Jackson Harper), Tahani (Jameela Jamil) and Jason (Manny Jacinto) have been sent back to Earth, in a new timeline where they never died. * Q1: Name one product review under 'Pregnancy/Baby/Children'? By entering competitions you authorise to add you to our newsletter database, where winners are published. See Terms & Conditions for full details.